HONOLULU – Gov. 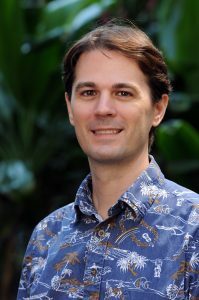 David Ige announced today that he has appointed Scott Glenn to serve as director of the Office of Environmental Quality Control. Glenn will officially take up his duties in November. His appointment is subject to confirmation by the senate. “Scott is passionate about working with diverse stakeholders to plan together for a better shared future. His education, work experience and volunteer service have prepared him to make a difference in this position,” said Gov. Ige. “I am humbled to serve as the director and thankful to the Governor for the opportunity. The office has a key role in the stewardship of our environment and economy. I look forward to bringing a collaborative approach grounded in technical expertise to the office and working with my fellow board members on the Environmental Council to reach out to the public and all stakeholders,” said Glenn. Glenn is leaving his position as environmental planner at Cardno where he has worked since 2010. While there, he focused on the intersection of planning, asset management and risk analysis in clients’ strategic decision making. He has managed project budgets and held key roles on multiple multi-million dollar projects for clients in the public and private sector. Recently, his focus has been on integrating climate change adaptation into federal asset decision-making tools. As a volunteer, Glenn serves as vice chair and past chair of the Sierra Club Hawai‘i Chapter and holds the same positions on the State Environmental Council. He is also the co-founder and president of Better Block Hawai‘i, a non-profit dedicated to exploring collaborative, innovative approaches to improving urban livability. Glenn earned a B.A. in philosophy and classical archaeology from the University of Evansville and a Masters in Urban and Regional Planning from the University of Hawai‘i. He is a member of the American Institute of Certified Planners. Scott Glenn’s photo is attached.